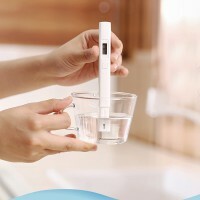 The wholesale category for electronic measuring tools including handheld lasers range finders, wind meters, sound level noise level meters, breathalyzers and more. Discover the exceptional accuracy of YoGadgets`s laser distance measurers and other related measuring devices! 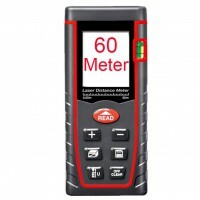 A60 Portable Digital Laser Distance Measurer Meter - fo..
Black Wireless Remote Food Thermometer -50~300CKey Feat..
Digital Laser Tape Measure - 0.05 To 100 Meter Range, S..
Digital Ultrasonic Thickness Gauge with Sound Velocity ..
Electromagnetic Frequency Radiation Detector - 5Hz To 3.. Exquisite Cable Detecting Instrument Set Cable Detector..
Lumiparty Laser Distance Meter 100MKey Features...Speci..
Lumiparty Laser Rangefinder 40MKey Features...Specially.. Motorcycle Bike Chain Breaker Splitter Riveting Tool Re..
USB Temperature And Humidity Logger - Store 32256 Readi..
Wireless Waterproof Digital Thermometer for OvenKey Fea..
Xiaomi Bluetooth Temperature and Humidity Sensor - LCD ..
Xiaomi Mi Water Quality Tester Pen - IPX6, LCD Display,..
ZOTEK GM550 Digital Infrared Thermometer - Measuring Ra..